Wondering what Glen Schofield and Michael Condrey, former top guys at Dead Space and Dante's Inferno studio Visceral Games are going to be doing at Activision? Something new, based on something old, Kotaku learned today. 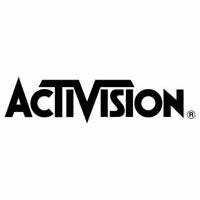 An Activision spokesperson confirmed to us today that former Visceral general manager Schofield and COO Condrey will be working at a new Activision studio. And they have a game planned. In a statement from the publisher, the duo's plans were given a little more detail: "We are currently hiring employees to work at a new studio that is opening in the San Francisco Bay Area of Northern California. Glen Schofield along with Michael Condrey will lead the studio which will be creating a new game based on one of Activision's existing franchises. We will be providing more details regarding the game at a later date." Start guessing which of Activision's "existing franchises" these guys will be making a game for. Among Schofield's past credentials is From Russia With Love. Activision currently holds the James Bond license. Otherwise, your guess is as good as ours. Earlier today, EA expressed confidence in Visceral's future despite the departures.